Hello! I hope everyone had a great new year! Just before the new year we got to hang out with some “old friends”. 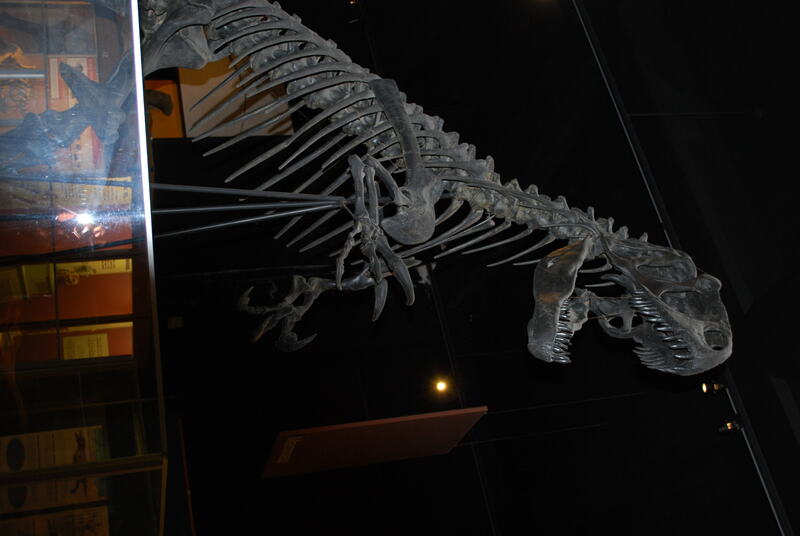 My daughter has been asking to go to a museum and see dinosaur bones for quite some time now. 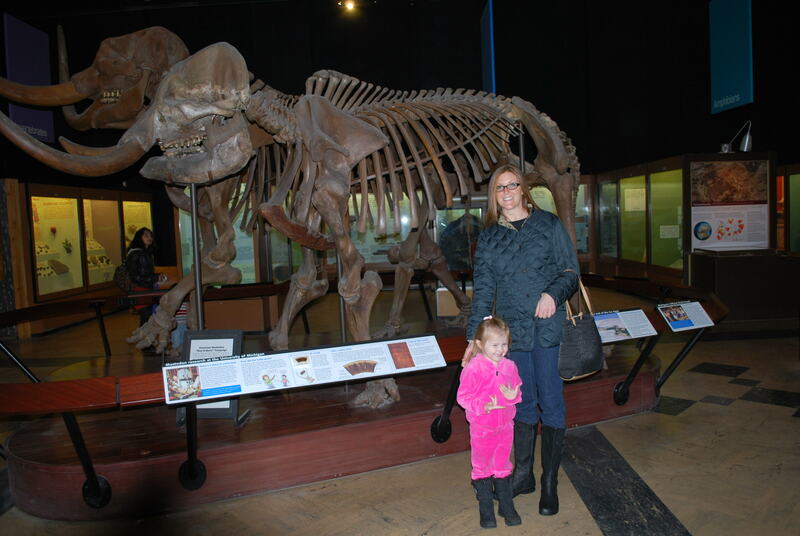 My husband had some time off so we headed to the University of Michigan’s Natural History Museum. She loved it! 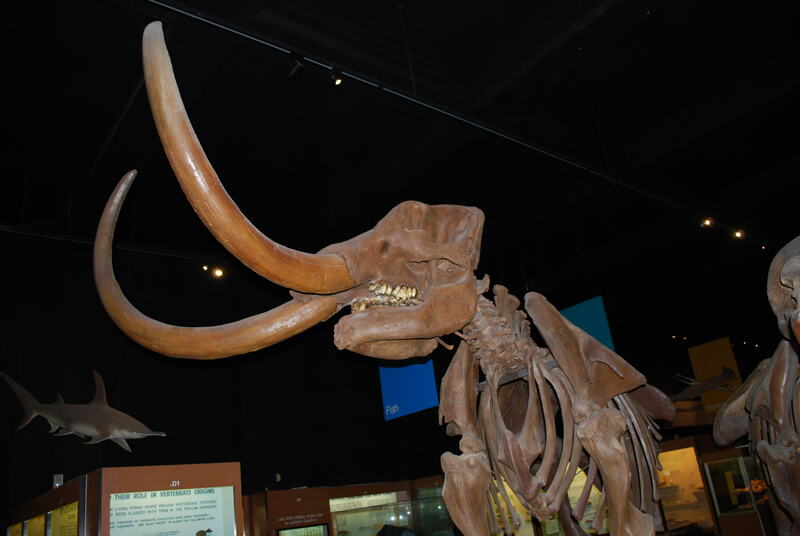 They had numerous dinosaurs, mastodons, whales, saber tooth’s, and skeletons of primates of all varieties. She was in bone heaven! She has always liked pictures of x-rays and diagrams of skeletons, it was about time she got to see the real thing. For New Years Eve we went to a friend’s house. We hang out with them every year for the occasion, and usually for the Superbowl too. All of my holiday eating caught up with me and I felt pretty miserable all day and night. I vowed in the morning to go on a 3 day juice fast. I even went out and bought a juicer and tons of produce to prepare for New Years Day. It made me feel a little better going out that night, knowing that I had all the stuff and could get myself feeling better the next day. I ended caving by lunch time. 🙂 I felt bad buying all the stuff and not using it like I planned. It’s ok. My husband said it is a nice juicer (he would like some lemonade out of it) and the produce is all stuff we will eat anyway. I ate good food the rest of the day after my morning juices and I am feeling much better. Continue to work on intuitive eating. Try to get the hang of where a comfortable full is. I still don’t think I eat enough at once and it leads to making up for it later. I have learned so much already. Get a bit faster at my running. I am so happy that my knee is feeling better and I am able to exercise the way I want to without trying to dance around an injury. I want to keep up my longer distance but do it in a faster time. I don’t think I want to go further yet just faster. Learn to let little things go. I take things very personally. I wish I did not care about everything so much. Clean out come clutter around the house. I was doing great over the summer and then it just dropped off. I’ll get back to it. So that’s all I can think of for now. I think it’s enough to work on. I hope you had a good new year.